This RAS-C2 radiator thermostat angle 8/10 mm, 013G605500, is designed for use in 2-pipe domestic heating systems like radiators or heated tower rails. Each valve has a 1/2" BSP tail piece connection to the radiator, along with compression fittings to connect it to the pipework. It comes complete with the revolutionary ‘flow selectable’ revolver valve body, which can be mounted either vertically or horizontally in flow or return. With its flow selection device it helps reverse the effects of water hammer, saving you from a possibly expensive problem. 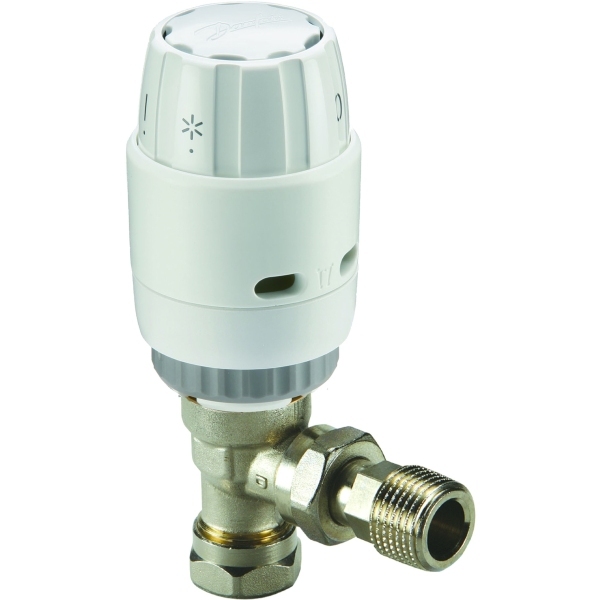 It provides highly accurate temperature control and is compatible with ra-fs flow selectable bi-directional valves, ra-fn, ra-n and ra-g valve bodies.